We are very excited to be welcoming two highly distinguished keynote speakers to AGEW2019: Professor Iris Bohnet (Kennedy School of Business, Harvard University) and Professor Shelly Lundberg (University of California, Santa Barbara, and immediate Past Chair of the American Economic Association’s Committee on the Status of Women in the Economics Profession). To accompany the AGEW2019 Dinner, Professor Lisa Farrell (RMIT University) will be sharing her experiences and insights into the initiatives she has developed to enhance gender equity within universities. To deliver the Gender Lensing Masterclass, we are delighted to welcome two expert analysts in the field of taxation and policy evaluation: Associate Professor Janine Dixon (Centre for Policy Studies (CoPS), Victoria University) and Professor Miranda Stewart (Tax and Transfer Policy Institute, Australian National University). 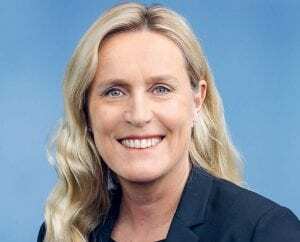 Professor Iris Bohnet will be in Victoria in February 2019 as one of VicHealth’s current Leading Thinkers. Professor Bohnet is the Albert Pratt Professor of Business and Government and Academic Dean of the Kennedy School of Business at Harvard University, and author of What Works: Gender Equality by Design. She is also the Co-Director of Harvard’s Women and Public Policy Program which provides evidence-based research insights into the role of gender in shaping economic, political and social opportunities, and identifies successful interventions that can guide public policies, organisation practical and leadership techniques. A behavioural economist, Professor Bohnet’s research combines insights from economics and psychology to improve decision-making in organisations and society. Highlighting gender and cross-cultural perspectives, Professor Bohnet’s most recent research focuses on the influence of unconscious bias and examines how elements of behavioral design can be used to ‘de-bias’ how we live, learn and work. 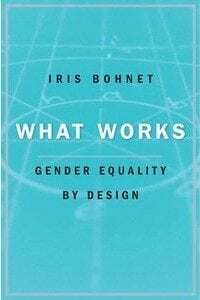 In her 2017 book What Works: Gender Equality by Design, Professor Bohnet provides an evidence-based suite of initiatives that governments and companies can put into action to address unconscious bias. Copies of Professor Bohnet’s book, What Works: Gender Equality by Design (published by Harvard University Press) will be available for purchase during AGEW2019, courtesy of Readings. At the Harvard Kennedy School, Professor Bohnet currently serves as a Co-Chair of the Behavioral Insights Group, Associate Director of the Laboratory for Decision Science, and Faculty Chair of the ‘Global Leadership and Public Policy for the 21st Century’ executive program for the World Economic Forum’s Young Global Leaders. She is also a Co-Chair of the World Economic Forum’s Global Future Council on Behavioral Science, and serves on the boards or advisory boards of Credit Suisse Group, Applied, Edge, genEquality, We Shape Tech, and the UK Government’s Equalities Office as well as numerous academic journals. Professor Bohnet earned her Doctorate in Economics from the University of Zurich in 1997. In 2016, Professor Bohnet was appointed as one of VicHealth’s Leading Thinkers, along with fellow economist Dr Jeni Klugman, to guide VicHealth’s work in Behavioural Insights and Gender Equality, which focuses on building gender equality in a range of settings including the media, workplaces and sport clubs. The VicHealth Leading Thinkers initiative was created in 2014 to connect international thought leaders with senior policymakers and key local experts. It aims to generate and provoke new thinking, inspire momentum, enable change, support and deepen relationships across sectors and deliver positive results for all Victorians. It is a true honour to welcome Professor Iris Bohnet to AGEW2019 and we gratefully appreciate the generous support of VicHealth for making Professor Bohnet’s visit possible. We also gratefully acknowledge the generous financial support of the Ian Potter Foundation for supporting WEN’s goal to bring an inspiring and distinguished international keynote speaker to AGEW. Professor Shelly Lundberg is the Leonard Broom Professor of Demography and Professor of Economics at the University of California, Santa Barbara. She is the immediate past Chair of the American Economic Association’s Committee on the Status of Women in the Economics Profession (CSWEP) which serves to monitor the progress of professional women economists and promote their careers. In her own research, Professor Lundberg has focused on the economics of family behaviour and the determinants of inequality. She has made significant contributions to the literature on the economics of discrimination, and on the modelling of resource allocation and bargaining within households, including her seminal work on the added worker effect as it applies to the labour supply of married women. Professor Lundberg’s more recent research examines the sources of educational inequality and gender gaps in education. Recent projects explore children’s decision-making, the effects of child gender on parental behaviour, the location decisions of married couples, the impact of government-provided care for the elderly on the labour supply of adult children, and the economic and social returns to psychosocial traits. Professor Lundberg also serves as an Associate Director of Broom Center for Demography, Adjunct Professor at the University of Bergen, Norway, and Research Fellow with the IZA. 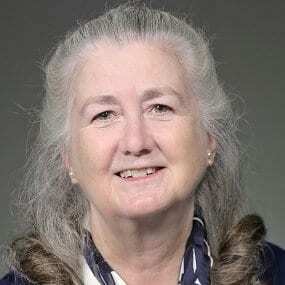 She is a Fellow and past President of the Society of Labor Economists, and an Associate Editor of the Journal of Population Economics, the Journal of Demographic Economics, and IZA World of Labor. Professor Lundberg was awarded her PhD in Economics from Northwestern University in 1981. In her role as Chair of CSWEP, Professor Lundberg has worked passionately to support the career progression of women economists in academia. In a recent paper – Women in economics: Stalled progress – Professor Lundberg and her co-author Jenna Stearns analyse the evidence which points towards the gendered institutional policies and implicit biases in promotion and editorial processes that have had the effect of impeding women’s progress in the economics profession. Professor Lundberg will be joining us at AGEW2019 fresh from attending the American Economic Association’s 2019 Annual Meeting which featured several sessions focused on gender in the economics profession, and will be able to share her insights on lessons learnt from the AEA’s experience. From across the Pacific Ocean, Professor Lundberg has been an avid supporter of the formation of WEN in Australia. We are extremely grateful for her support of WEN’s initiatives, including generously offering her invaluable expertise and time as a senior mentor at WEN’s academic career development session at AGEW2019. 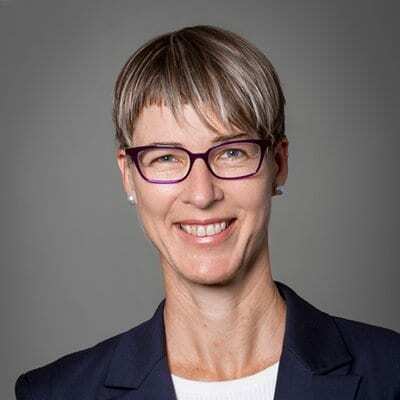 As a Professor of Economics within the School of Economics, Finance and Marketing at RMIT University, Professor Lisa Farrell serves as the Deputy Head of School (Research and Innovation) and as Director of the Markets, Culture and Behaviour Research Group. Professor Farrell came to RMIT in 2009 as Head of Economics, and as the first ever female professor within the School. She now supports female academics as a university promotions mentor. Professor Farrell’s research interests lie in the area of health economics and economic psychology. She studies risky health behaviours and how this intersects with behavioural economics, such as understanding addictive behaviours and the effects of personality on economic decisions, including a focus on gender differentials. She was awarded her PhD in Economics from Keele University. Professor Farrell has been instrumental in developing RMIT’s university-wide Women’s Researchers Network and the School of Economics, Finance and Marketing’s Women and Research Group. She is currently undertaking a study of ‘sticky floors’ in academia, identifying practical ways to overcome impediments to women’s career progression and been involved in audits of practices to support female researchers. WEN is very grateful for the insights that Professor Farrell will be sharing with us at AGEW2019 on the framework and initiatives that she has developed over ten years to enhance gender equity in academic settings and be a leader of change. 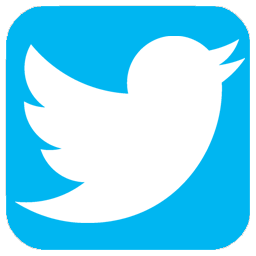 Associate Professor Janine Dixon is a Senior Research Fellow at the Centre of Policy Studies (CoPS) at Victoria University in Melbourne. Associate Professor Dixon’s research expertise encompasses the theoretical and practical application of large-scale dynamic computable general equilibrium (CGE) models, including conducting detailed forecasts of labour market demand and income distribution. She has worked extensively with the Victoria University Regional Model VUMR (formerly MMRF) and TERM models of the Australian economy, undertaking economic consultations for public and private sector clients in Australian and internationally. Associate Professor Dixon is a part of the Economic Society of Australia (ESA) National Economic Panel, who represent a cross-section of Australia’s top economists. 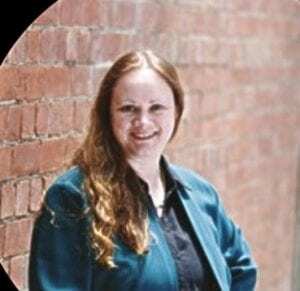 Prior to joining CoPS in 2007, Associate Professor Dixon worked at the Australian Bureau of Statistics where she was the manager of various surveys of the service industries in Australia. She earned her a PhD in Economics from Trinity College Dublin in 2006. Associate ProfessorDixon participated in WEN’s all-female panel to deliver the 2018 budget address the National Press Gallery, presenting her modeling work on the economic impacts of the Australian Government’s proposed increase to company tax which included an assessment of the repercussions of the proposed tax change for gender equality. We are very appreciative of her ongoing support and contribution towards our WEN events, and the Centre of Policy Studies’ sponsorship support of the Gender Lensing Masterclass. Professor Miranda Stewart is Fellow and former Inaugural Director of the Tax and Transfer Policy Institute, at the Crawford School of Public Policy at the Australian National University (ANU) and a Professor at Melbourne Law School at the University of Melbourne. As one of Australia’s preeminent academic experts in tax, Professor Stewart brings a breadth of experience in tax and social policy from across the academic, government and the private sector. She engages in research, policy advice and teaching across a wide range of tax policy and law design projects and sectors. Her research addresses gender equality in the tax and transfer system, as well as the taxation of corporations, budget institutions, and the resilience, legitimacy and effectiveness of tax systems and tax reform. Professor Stewart has previously worked in private legal practice and in the Australian Tax Office on business tax policy and legislation, and taught at the New York University School of Law, Osgoode Hall Law School, York University, Canada and the University of Florida Levin College of Law. Professor Stewart is a contributing author to the Gender Lens on the Budget Report produced each year by the National Foundation for Australian Women (NFAW). Her 2017 publication Tax, Social Policy and Gender (published by ANU Press) compiles latest the empirical research on the gender inequalities embedded in Australia’s tax and transfer policy settings. 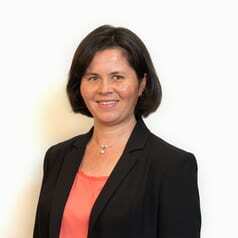 She is also a regular contributor to the Tax and Transfer Policy Institute Blog. Professor Stewart has lent her expertise to several of WEN’s budget analysis events, including being part of WEN’s first ever all-female panel to deliver a budget address to the National Press Gallery in 2017. We are very appreciative of her continued support and input towards our WEN events. RMIT University acknowledges the people of the Woi wurrung and Boon wurrung language groups of the eastern Kulin Nations, on whose unceded lands we conduct the University’s business and activities. RMIT University respectfully acknowledges their Ancestors and Elders, past and present.